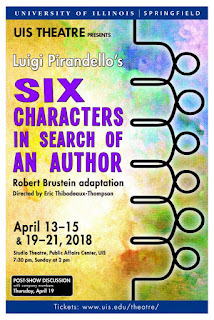 The theatre program at the University of Illinois Springfield (UIS Theatre) will hold open auditions and crew interviews for their upcoming production of Luigi Pirandello's play “Six Characters in Search of an Author” on Sunday, January 21 and Monday, January 22, 2018, in The Studio Theatre at UIS. Crew interviews will begin at 6 p.m., followed by auditions at 7 p.m. both nights. Roles and crew positions are open to students, faculty, staff, and community members. Callbacks are slated for Tuesday, January 23. A limited number of scripts are available for checkout at the front desk at Brookens Library at UIS. Prepared one minute contemporary monologues and headshots/resumes are appreciated, but not mandatory. Auditions will consist of cold readings from the script. 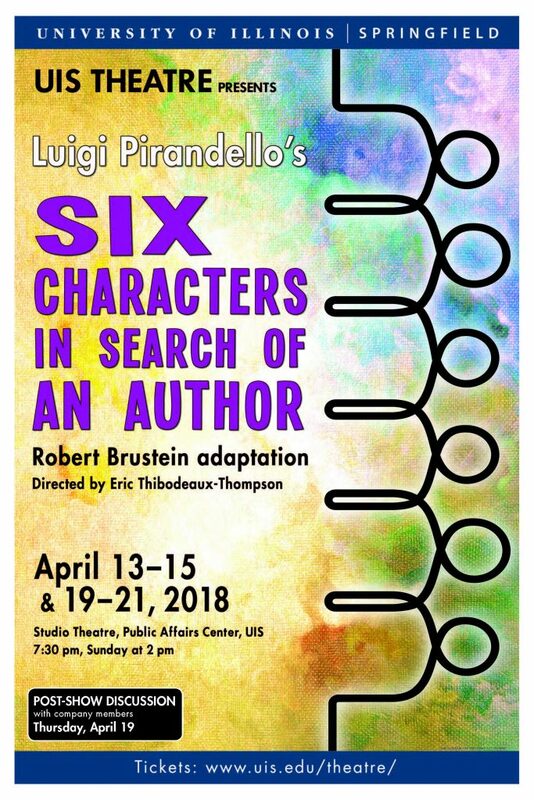 “Six Characters in Search of an Author” will be performed April 13-15 and 19-21, 2018 in the Studio Theatre, located on the lower level of the Public Affairs Center. UIS Associate Professor of Theatre Eric Thibodeaux-Thompson will direct with scenic design by UIS Assistant Professor of Theatre Dathan Powell. For more information, contact Eric Thibodeaux-Thompson at 217/206-6613 or ethib1@uis.edu. You can also visit the UIS Theatre website at www.uis.edu/theatre.